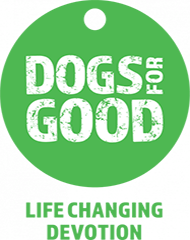 We provide the very best dog home boarding near you in Fife and Kinross including Dunfermline, Kirkcaldy, Glenrothes and surrounding areas. Dogs deserve a holiday too! Hello from Elaine and John! 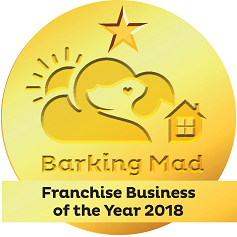 We provide the very best Barking Mad dog home boarding experience near you and throughout Fife and Kinross including Dunfermline, Kirkcaldy, Glenrothes. We’re dedicated to making sure that every dog has the very best one to one dog holiday. All our host pet sitters are true dog lovers who are just as passionate as us. We provide 5* dog home boarding right across the Kingdom from Star in the East to Rumbling Bridge in the West – if you live in KY1 to KY7 or KY11 to KY13 then they’ll be more than happy to help you out. Elaine is a dog lover at heart and growing up always had a family cocker spaniel. When she moved to her first home she had two Alsatians Jo & Jake, but it wasn’t long before 2 became 15, when Jo had a litter of cheeky pups, that brought a lot of joy. Since then she has also owned two Border Collies – Riggs and Bex who were brothers that, when she went to the farm to see them, she couldn’t bear to separate, so she came home with 2 dogs instead of one! When the chance came to join Barking Mad in 2014, Elaine simply couldn’t say no! Now she loves living just outside of Scotlandwell with her husband, gorgeous daughter, 2 cats, 2 guinea pigs, 2 rabbits & 4 super Springer Spaniels – Woody, Shadow, Bracken & Jazz and wee Willow the Cocker Spaniel – who all have boundless amounts of energy and love nothing more than romping over Bishop Hill, up East Lomond or round Loch Leven. John shares Elaine’s passion for pooches and he also grew up with a family cocker spaniel. At the start of 2016 he took the opportunity to become Elaine’s Barking Mad partner, as he says “it’s great that we share a love of dogs and have the chance to work together to make sure we deliver the best possible experience for every dog who holidays with us and for all our amazing hosts”.